We are excited to have Hangar 15 join us in the fight to eradicate cancer! 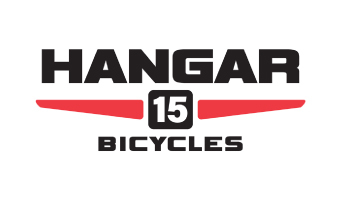 Hangar 15 Bicycles was founded in 1993 by Draper resident Mike Pratt, under the original name of Hangar 15 Bicycles. Mike was a passionate cyclist at an early age. While serving as a Marine, Mike got a lot of his friends into cycling. One of his friends thought it would be fun to ride his bike home when he was discharged later that year. At the time they were stationed on the coast of North Carolina & his friend’s home was in Nevada. Mike joined his friend on that adventure across the country. It was on that bike trip across the country that Mike decided that a bike shop was in his future. Mike has come a long way from the original 1800 sf. space in the Hidden Valley Shopping center. Hard work and long hours were only part of the recipe. It was Mike’s passion for cycling and an understanding of what customers wanted that set the store in the right direction. Fast turn-around on repairs, knowledgeable and helpful service and sales staff, and a reinvestment in Inventory were key elements. In July of 2017, Hangar 15 Bicycles made a name change to Hangar 15 Bicycles and has Utah’s largest selections of bikes & accessories. Hangar 15 Bicycles is the oldest retail business on 12300 South today. Mike and Hangar 15 Bicycles has always been involved in the cycling community. Mike, along with friend Scott Miles, hosted a race series for several years in the mid-90s. Many trails they built for those early races are still in use today. Hangar 15 Bicycles has both a road and mountain team, along with a junior development team. The Hangar 15 Bicycles – Shimano Elite Road Team gives local racers the opportunity to race on a bigger stage. The team is currently one of the best in the county. Along with a commitment to high school mountain bike league Hangar 15 Bicycles also provides the use of Cyclocross bikes for free to junior riders. Although it’s hard to catch Mike on the sales floor today, he is just as involved as day one. Still working six days a week trying to ensure Hangar 15 Bicycles offers the best customer experience possible. Mike said, “although we are the number one bike shop in the market based on volume and selection, we are not perfect so there is always a reason to work harder and strive for improvement”.